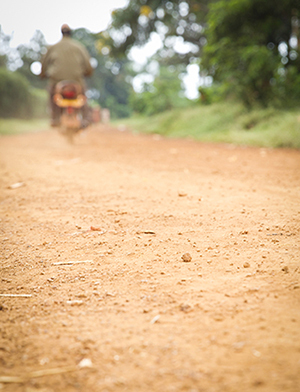 My hands grip tightly as I lean hard into the handlebars, the dust kicking off the road into my hair and over my back. The moment is mine; the exuberance of moving fast, of directing my own path assures me that I am untouchable--unstoppable. Six years ago, at the ripe age of 18, I mounted my first metaphorical motorcycle and drove zealously into the world of development. 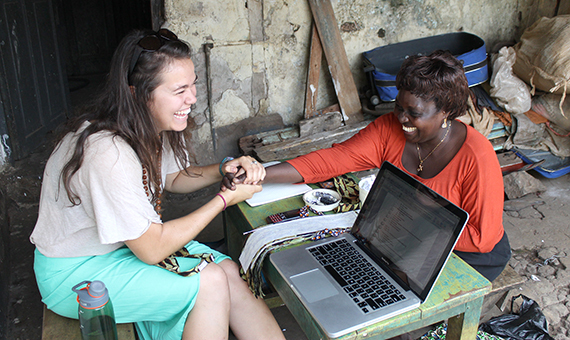 With one year of college under my belt, I began a dream to revolutionize the micro-financing landscape in Uganda. However, I soon felt my motorcycle putter, faltering on the realization that I needed an actual understanding of finance to make my grand plan come to fruition. So, I switched gears. I partnered with a Ugandan, Michael Kaidhwa, to revolutionize education instead. Unbeknownst to me, I had made the best decision possible. Michael proved an excellent partner; he was kind enough to let me continue driving, but wise enough to direct my path. 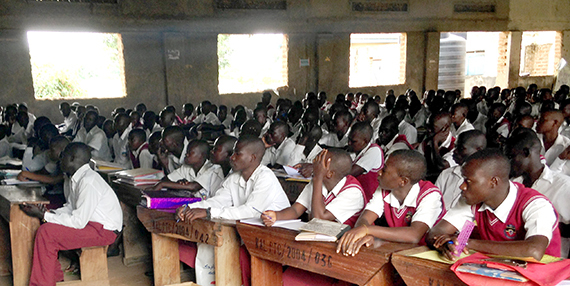 We spent the next five years building The African SOUP, an organization driven to love deeply in our community and develop a new method of teaching for primary schools in Uganda. We designed an approach that bucks rote memorization and advances critical, creative, and ethical thinking through our development of the Active Learning Project. Nearly a year ago, however, we realized we knew very little about enhancing the education system and the folly in trying to do it alone. Now a team of 22, we had set the cruise control and consequently forgotten the wisdom of our dear Africans: "If you want to go fast, go alone. If you want to go far, go together." It was around that time I diagnosed the second problem: me. No matter what I do, I always wake up a white American, a fact that separates me from the average Ugandan. In order for the team to be effective, the nationals needed to be our face to the community and take ownership of our goals and ideas. While this may seem unnecessary in developed countries, it is essential in Uganda, which faces a pandemic sweeping the developing world--dependency. The people, though brilliant and driven, have had systematic beliefs of superiority wedged into their minds by many Western cultures. The nationals have started to believe the presupposition that Western intent is necessarily to develop Uganda as an end in itself. I realized that in order to truly have an impact, I must engage in the deepest partnership possible with our team. I decided to live exactly how they live, and furthermore, to speak as seldom as possible. I wanted to build their confidence that this vision, although first mine, will with adaptations forevermore be theirs. Our first stab at this approach occurred shortly after the realization struck me. Organizationally, we decided to focus heavily on partnership with other organizations, making a commitment to first secure a partner before implementing anything new. We were forced to slow down, listen, and learn, rather than passionately charge forward. Secondly, and perhaps more importantly, I decided to speak far less and provide space for Michael and the rest of the local staff to take the lead on all fronts. This resulted in ownership and partnerships that have brought vibrancy and effectiveness to our model on a level we would have never achieved on our own. One of our brightest teachers at the SOUP Demonstration School approached the leadership team with a proposal to provide malnutrition services to babies suffering from this preventable condition. Our team resisted the urge of immediately jumping at the opportunity to provide this much-needed community engagement; instead we asked Emmanuel to first secure a partnership with an existing organization or other entity with experience in the field of malnutrition. This resulted in a partnership between Emma's Baby SOUP and the Jinja-based non-profit Serving His Children. Rather than developing a new curriculum or intervention to solve this problem, we built a relationship with a group of people already working to solve this plight. They are doing what they love and we love what they do for our community. It is never about winning, it's about working as one. Through our partnership with Segal Family Foundation, our leadership team recently went on a "Best Practices Tour;" we met with Musana, KLA, Amazima, Bulungi Creative, SOUL Foundation, STiR, Educate!, Kabbubu, PEAS, and Building Tomorrow. These organizations are truly exceptional, from Educate! 's mission to build Africa's next generation of entrepreneurs to Kabbubu's passion to provide the highest quality community development in their area, and we are proud to be working with them. 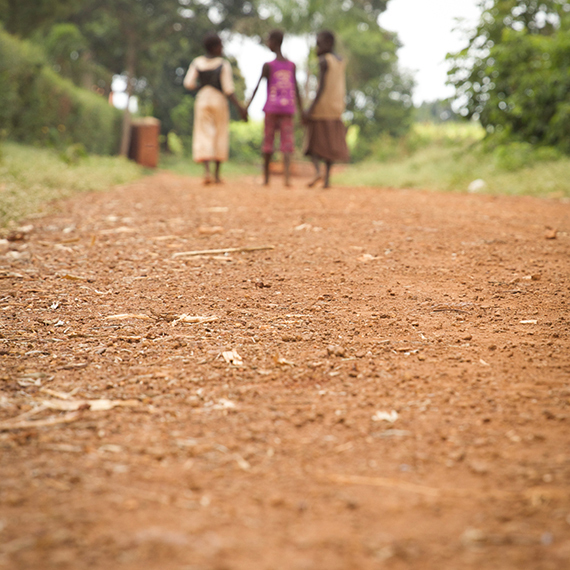 There is only one road out of Africa, only one road to successful development--meaningful partnership. When I stepped off my rapidly moving machine, I was only then able to see real development take place. Alone we may go fast, but humbly and collectively, we will go far.